NASA is pretty much the gold standard when it comes to scientific research: Between the Hubble and Chandra telescopes, the multiple Mars rovers rolling across Mars’ surface, and the International Space Station, they’ve pulled in more data about space, the Solar System, and our galaxy than just about anyone else. One of NASA’s proudest accomplishments is the NeoWISE database, a catalog of around 158,000 asteroids and near-Earth objects that lists their diameter and reflectivity. The database is one of the cornerstones of NASA’s ongoing mission to protect the Earth from an asteroid impact, but now the data from NeoWISE has come under fierce criticism from a former Microsoft chief technologist named Dr. Nathan P. Myhrvold, who has accused NASA of using shoddy methods and even doctoring data. Myhrvold is something of a Renaissance man and cross-discipline provocateur: Aside from his gig at Microsoft, he’s published a critically praised six-volume cookbook titled Modernist Cuisine and several academic papers on paleontology, including one in Nature that accused some of the top paleontologists in the world of having “serious errors and irregularities” in their research. 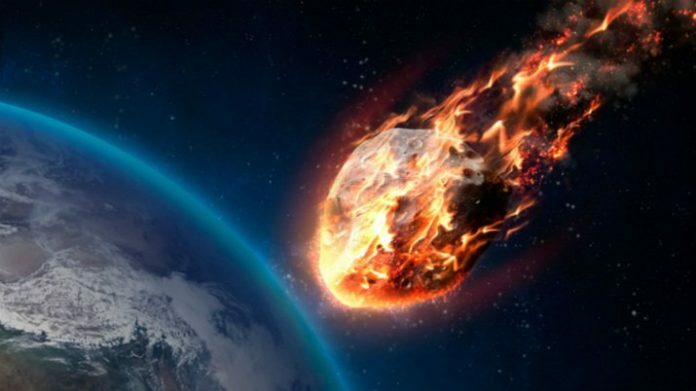 The feud with NASA reached a high point in 2016 when Myrhvold revealed research that criticized NASA’s analysis of asteroids spotted by the WISE mission, originally conducted between 2009 and 2011. The WISE (Wide-field Infrared Survey Explorer) space telescope was designed to spot far-off objects, but incidentally captured many images of asteroids over the course of its mission. The NeoWISE project is built on the observations of the telescope, but those observations are flawed, according to Myrhvold, because WISE wasn’t designed to spot close objects like asteroids. “The science is terrible,” says Myhrvold. Unfortunately for Myhrvold, his 2016 research (which was not peer-reviewed) also turned out to have some flaws. Apparently, a few of his equations contained mistakes, including one that confused radius with diameter. Now, two years later, Myrhvold has successfully published a paper on how light reflectivity affects the measurement of asteroids in the journal Icarus, along with a companion paper that lays out his criticisms of NASA’s methodology when it comes to cataloging asteroids, including claims that NASA has deleted asteroids from its database, used old, inaccurate measurements, failed to release information that could be used to independently verify their data, and even altered measurements post-hoc. Before you dismiss Myrhvold’s accusations as the ravings of an intellectual with far too much time on his hands, consider this—he’s got some of the brightest minds in science currently backing up his research criticizing all of NASA’s asteroid data. Jean-Luc Margot, Chairman of the earth, planetary and space sciences department at U.C.L.A., says his preliminary follow-up studies of Myhrvold’s research have produced results that seem to verify his findings recently published in Icarus. Icarus now expects Dr. Amy Mainzer, a researcher at NASA’s Jet Propulsion Laboratory and the principal investigator for NeoWISE, to publish a rebuttal paper to answer Myhrvold’s accusations.